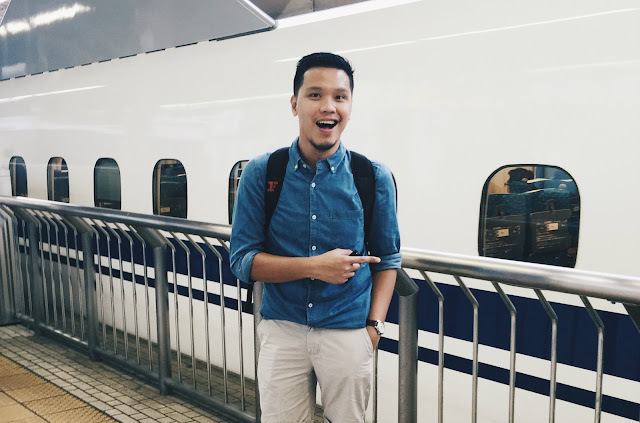 Among the things that I want to experience during my first visit in Japan is to ride the Shinkansen or the Japanese bullet train. 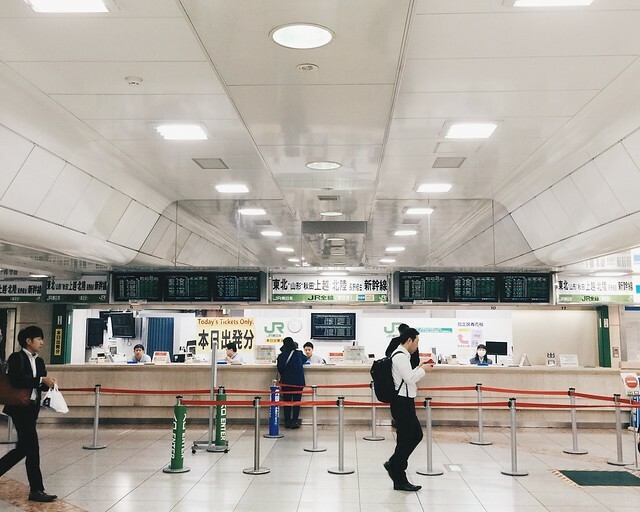 The whole world adores how the Japanese utilize technology and it would be nice to experience it even in just a few hours. The Shinkansen did not just transport me from Tokyo to Kyoto in a fast 2 hours and 15 minutes. It transported me from third world to first world in a snap. That may sound as a very boastful remark but I don't mean to malign the country where I come from. But for those of you who ride trains in Manila to avoid traffic, you know the pain and you know that our taxpayers deserve more. Going back to happy note, the term Shinkansen is more like of a brand of a network of Japanese bullet trains. They are all operated by one company, the Japan Railways Group. When you're in Japan, ask for "JR" and they would know that you are inquiring about the train. 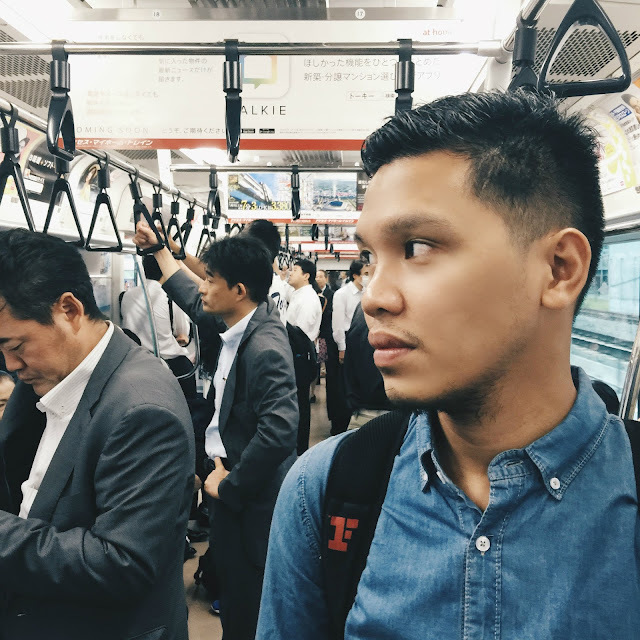 The network is massive and nationwide but the most popular ones are the lines traversing the so-called "eastern urban corridors" or the stretch of the biggest cities in Japan starting from Tokyo to Yokohama, Nagoya, Kyoto, Osaka, Kobe, all the way to Hiroshima and Fukuoka. If you are following me on Instagram (@mj_lifestylehub) you already know that my peg for this trip is Charlotte, Scarlett Johansson's character in the movie "Lost in Translation." This is my attempt of that "lost" sequence when she tried the trains in Tokyo. Our hotel in Tokyo was accessible through Kanda station. From Kanda, we rode the Yamanote Line Sky Train to Tokyo Station where this photo was taken. In Tokyo Station, we transferred to the Shinkansen for our trip to Kyoto. 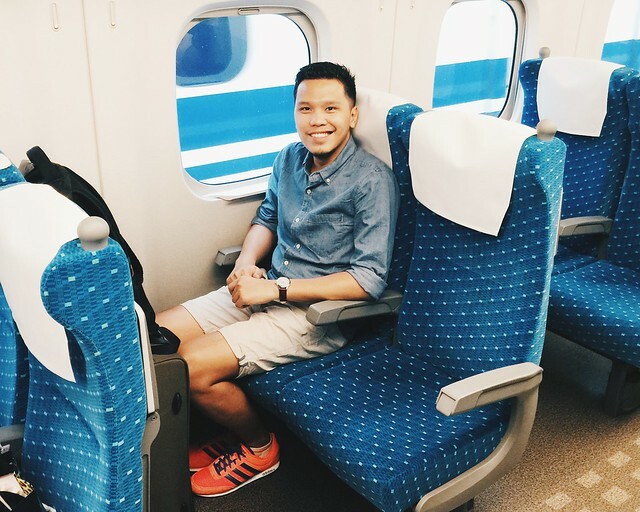 Young or old, the Shinkansen offers a very comfortable trip for everyone. There is limited access to online tickets for tourists. But no worries, lines in Shinkansen stations are as free as this even on rush hours. The train leaves in every 10 minutes so you have plenty of trips to choose from. This is one of the very few times when on-the-spot ticket purchase is efficient. With it's comfort, luxury and efficiency, of course you would expect that it is expensive. 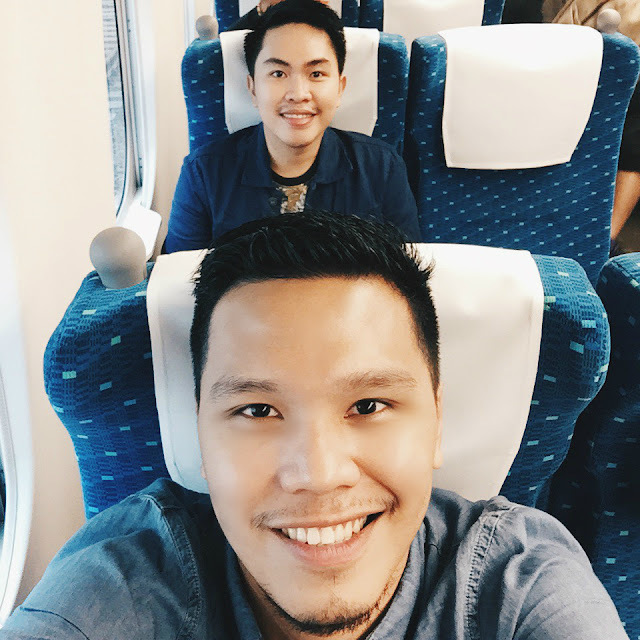 Our ride from Tokyo to Kyoto costed 13,080 Yen or PHP4,800.20 (Y1= PHP0.37). Sounds expensive but that is equal to how much your regular airfare would cost if you travel from Manila to Cebu. It is actually more expensive if you are taking a plane and the difference is very minimal, barely a thousand pesos less, if you would take the overnight bus but for 8 hours. 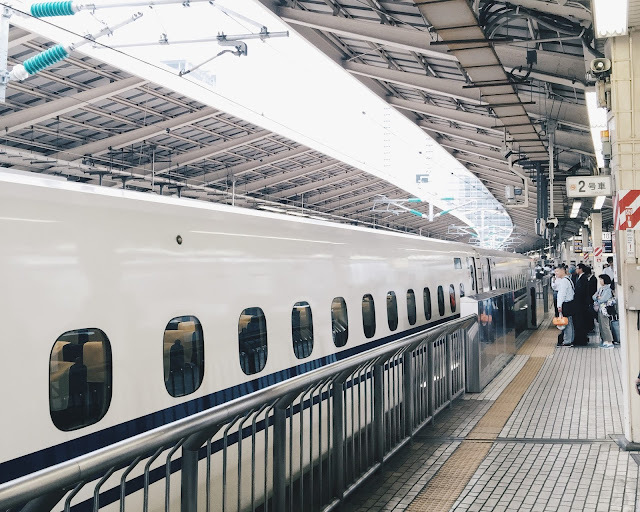 The Tokaido Shinkansen, which operates from Tokyo to Osaka, leaves at every 10 minutes. The Nozomi is 30 minutes faster because it only stops in 3 stations between Tokyo and Osaka: Yokohama, Nagoya and Kyoto. The Hikari stops in more stations. You don't need to worry about purchasing a ticket in advance. You'll never run out of seats even during rush hours. Besides, you have plenty of trips to choose from, 6 in every hour. You can just go directly to the station and pay in cash over the counter. Your ICOCA or SUICA cards, which you can use in the massive Tokyo and Osaka city trains, cannot be used for the Shinkansen since it can only load a maximum of 10,000 Yen in prepaid credits. You have to let go of ICOCA or SUICA cards for a little while. 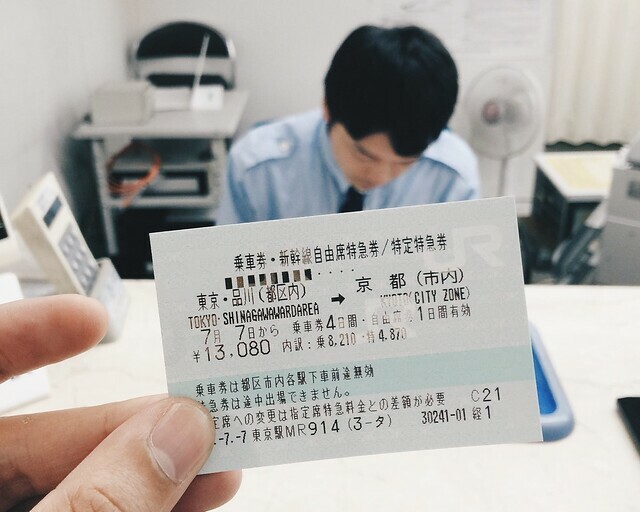 The Shinkansen has a separate ticketing system just because it is more expensive than the regular city trains. An ICOCA card can only store 10,000 Yen in prepaid credits. 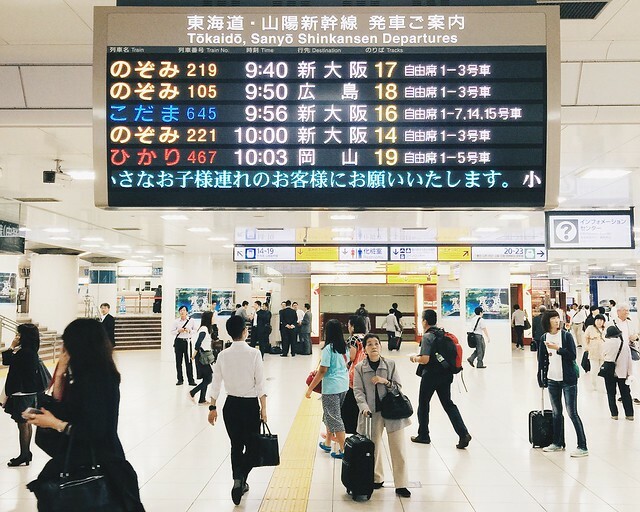 One ride from Tokyo to Kyoto costs 13,080 Yen. 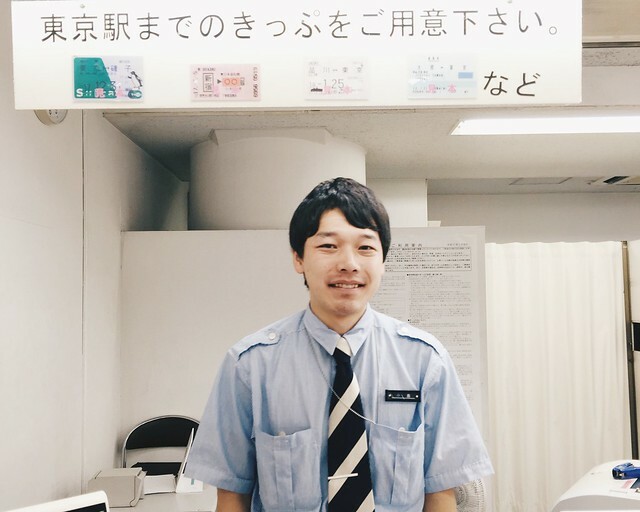 Language might be an issue while in Japan but they have the most friendly staff who will go out of their way to assist you. This gentleman told us all the details that we need to know: from which platform to go, which car to take and what to do while inside the train. Someone's excited to take his first Shinkansen trip! LOL! 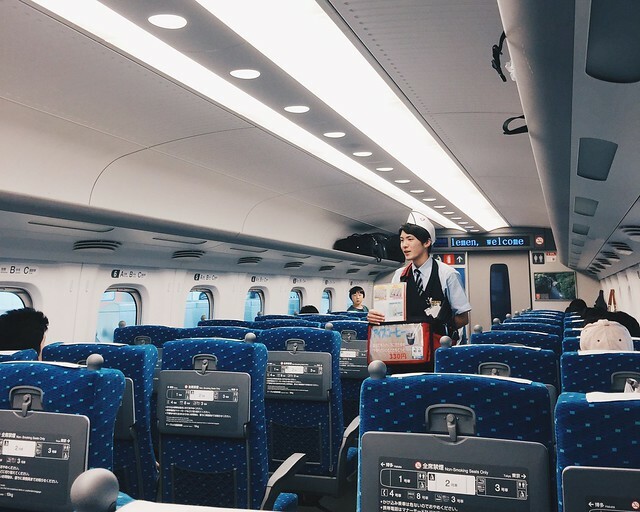 Our ride from Tokyo to Kyoto was completed in exactly 2 hours and 15 minutes with no delays. 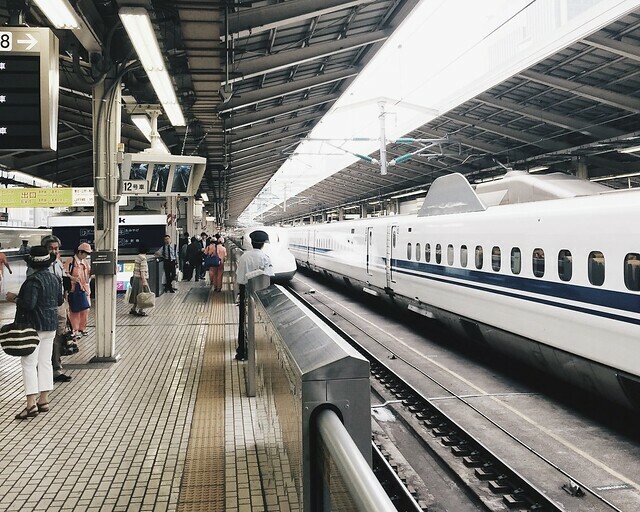 I timed our trip and was impressed with how the Shinkansen follows its promises. In 2014, the Shinkansen averaged 38 seconds in delay for all its trips that year. I'm not sure if I will consider that time duration as a delay. Our travel was also very smooth. I hardly felt the usual railway vibrations. 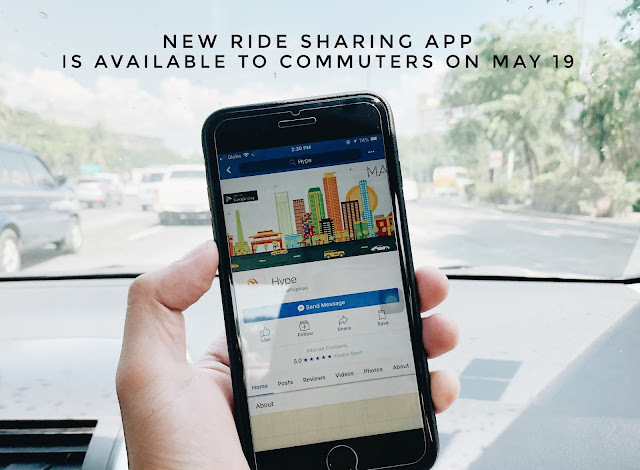 It felt like travelling in a brand new Montero along NLEX on a Good Friday. So stress-free. The leg room is also more than enough for a tall person like me. The seats are very comfortable and they have a very clean restroom in every car as well. The Shinkansen is like a tourist attraction on its own and the Japanese should be proud of themselves. I am dreaming to see this kind of transportation here in the Philippines given the right leaders. That might take more than one lifetime. So when you're in Japan, you better ride the Shinkansen to experience one of the best products of modern engineering. Eating and drinking are allowed inside the train. You'd be shy to spill anything inside since the cars are maintained very neatly. But just in case you were too excited and forgot your snacks, you won't be starving all along. 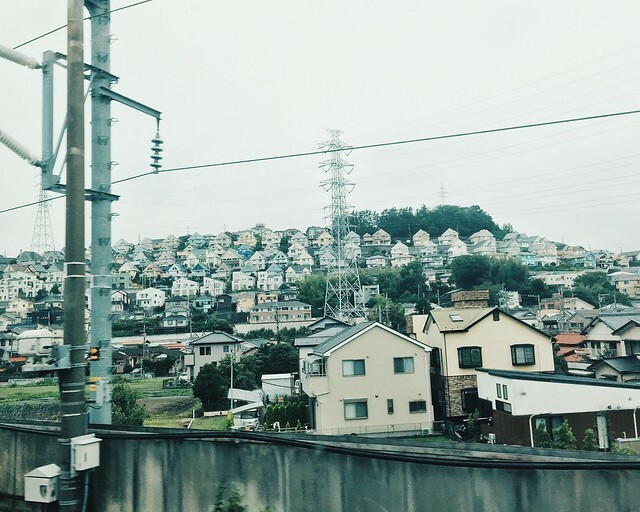 Some Japanese houses on the hill in one of those towns we passed by in between the cities of Yokohama and Nagoya. 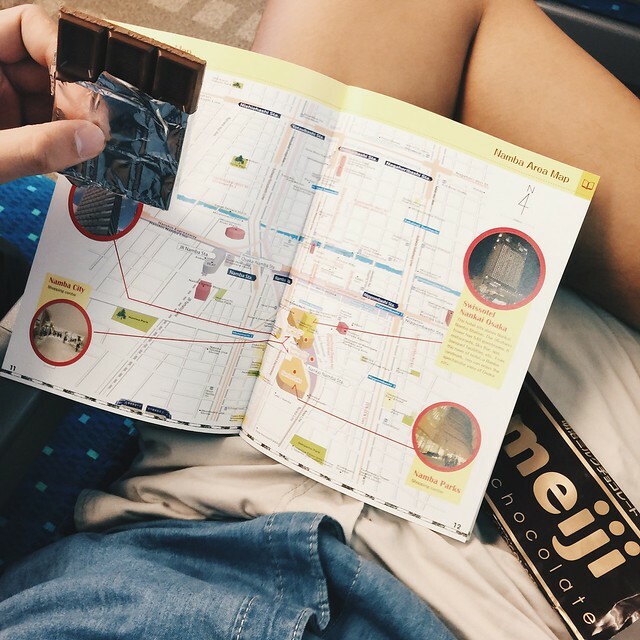 Studying the Osaka railway system, one of my favorite parts in every trip, while eating Japanese chocolate during the trip.